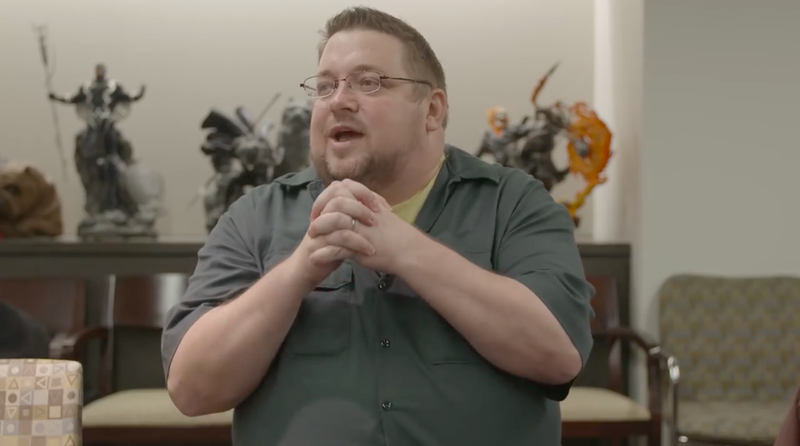 Marvel Editor-In-Chief C.B. Cebulski at a recent Marvel retreat. Before he became Marvel’s newest Editor-In-Chief, C.B. Cebulski, a white man, spent months writing as “Akira Yoshida” in order to circumvent Marvel’s company policy that barred staff employees from working in editorial. But “Akira Yoshida” was not just a pseudonym, it was an elaborate identity—one of a Japanese man who’d grown up learning English from comic books—that Cebulski constructed in order to convince people within the industry that they were two entirely different people. Cebulski is an avid fan of Japanese culture. He’s spent years living in Japan and is said to speak the language fluently. That’s all very nice, but it doesn’t change the fact that he’s a white man who pretended to be Japanese in order to advance his career. That is a weird, though not unheard of, thing to do. It is also deeply racist. Unsurprisingly, Cebulski would very much like for everyone to forget that he did it. It’s great that Cebulski knows that it’s bad when white people decide to treat the identities of people from other ethnic backgrounds as outfits to try on. But it’s honestly rather laughable to consider that this is the sort of situation in which “amends” can be made that somehow rectify the larger issue at hand. The comics industry is overwhelmingly white and male at virtually every single level. This is a problem. Comics are an industry where getting one’s foot in the door and then advancing is often contingent upon the interpersonal relationships you have with other people. Because of these two things, it is incredibly difficult for people who are not white men to make successful long-term careers as comics creators. In masquerading as a Japanese man, Cebulski used his access as a Marvel employee and his privilege as a white man to take a place that just as easily could and should have gone to an actual Japanese person. The Akira Yoshida stuff is gross in and of itself, but it’s the fact that Marvel appointed him EIC even after admitting to breaking company policy that really sends the most disappointing message. It says that you can be racist, break rules, and still reasonably expect to keep your job with the hopes of climbing the ladder all the way to the top. Cebulski may want to put all of that behind him where it’s out of sight and out of mind, but it’s really not something that the public can or should do.